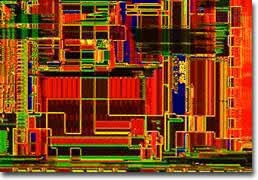 Interested in integrated circuits? Check out our new Chip Shots digital image gallery. The integrated circuit is one of the most momentous inventions of the twentieth century, having wound its way into modern life to such an extent that it would seemingly be impossible to ever survive comfortably without it again. Often known simply as a chip, the integrated circuit is a complex set of electronic components and interconnections etched or imprinted on a substrate. The substrate of a chip is most commonly silicon, but other materials are sometimes utilized for the purpose as well. Miniscule in proportions, integrated circuits are contained in a wide variety of everyday products, often making life easier by allowing consumers to program or customize their electronic devices. Indeed, chips are fundamental to a number of modern spheres including the manufacturing, communications, transportation, and computing industries as well as the Internet, through which data transmission and exchange has become an almost instantaneous endeavor even when involving individuals on opposite sides of the globe. In an acute instance of poor foresight, the British Ministry of Defense failed to pursue the development of the integrated circuit in the early 1950s, when a member of one of their research teams, Geoffrey Dummer, proposed the technology. The idea was intended as a way for the Ministry to improve the dependability of their radar equipment, but when a prototype of a complete circuit on a small square of silicon failed, research on the project came to a screeching halt. Approximately seven years later in the United States, two scientists working independently from one another invented nearly identical devices, changing the face of technology forever. Jack Kilby, who was then working for Texas Instruments, received the first patent for a chip in 1958, while the more complex integrated circuit created by Robert Noyce of Fairchild Semiconductor was not patented until 1961. These primitive chips each only featured a few components, but were a crucial step along the path to the much more advanced modern integrated circuits. Integrated circuits can be broadly categorized into two groups based upon the kind of transistors they feature. Those that feature primarily metal-oxide-semiconductor (MOS) transistors are known as MOS chips, while integrated circuits that chiefly contain bipolar junction transistors are called bipolar chips. Both kinds of transistors are occasionally featured on a single integrated circuit and the number of transistors contained varies. The earliest examples of integrated circuit technology are generally described as utilizing small-scale integration (SSI), each chip containing less than 100 transistors. SSI circuits were heavily utilized in aerospace programs, being favored both for equipment necessary for the Apollo missions and the Minuteman missile. Production of the chips for such purposes helped finance advancements in integrated circuit technology and by the late 1960s, medium-scale integration (MSI) chips, which could hold up to 3,000 transistors each, were developed. 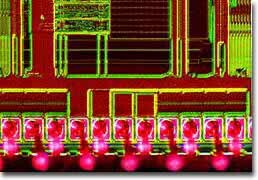 The 1970s marked the introduction of large-scale integration (LSI) circuits capable of holding tens of thousands of transistors, and since the 1980s, very large-scale integration (VLSI) chips featuring up to a million components each have been in production. Today, some integrated circuits contain an even higher number of components and are often described as exhibiting ultra large-scale integration (ULSI). The computer electronics industry is evolving so rapidly that it seems that most of us are using outdated equipment even before we can get it out of the shipping carton. 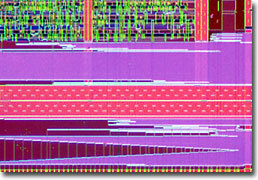 Due to heavy competition in the field, the size and speed of microprocessors is expanding at an almost explosive rate. Oftentimes the advances in integrated circuit technology are purported to follow Moore's law, a concept ascribed to Intel co-founder Gordon E. Moore, who first delineated it in the mid-1960s. Originally, Moore's law suggested that the number of components per square inch on integrated circuits would double approximately every 12 months for the foreseeable future, but in the 1970s, the edict was revised so that the doubling time slowed to every 18 months. As of 2004, many experts in the computer industry believe that this revised version of Moore's law will hold true for the next several chip generations. However, it is also commonly supposed that the law is self-fulfilling since it inspires those in the industry to work quickly because if they do not make advances in a timely manner, they believe somebody else will. Moore's law is also sometimes used to calculate the technological limits of integrated circuits, although advances in nano- and micro- technologies may help postpone the predicted attainment of such limits. Many chips, such as the microprocessor, are designed for specific purposes. 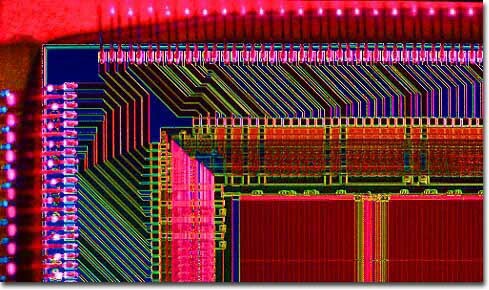 Introduced by Intel in the early 1970s, the microprocessor is an integrated circuit that contains a computer's entire central processing unit (CPU). This innovative technology revolutionized the computer industry, paving the way for the modern prevalence of personal computers and the dawn of what is frequently termed the Information Age. According to the 2000 census, personal computers are present in more than half of all homes in the United States, most of which also have Internet access. Generating several hundred billion dollars in revenue each year, personal computers sales are still strong and since school-age children are even more likely to utilize computers than adults, 9 out of 10 of them having access to the technology at the beginning of the twenty-first century, they will likely become even more indispensable in the future. 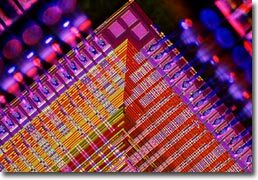 Of course, futuristic computers will be somewhat different than they are today, as the number of components featured on a single chip continues to increase, new materials are developed, faster clock rates are achieved, and fabrication techniques are improved.